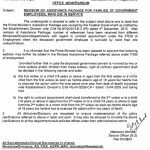 Keeping in view the above discussion, it is clear that drawal of the pension is vested right of the child of a government servant, duly qualified, which cannot be taken away through a notification that too with retrospective effect and that two pensions are independent regardless of the fact that both deceased government servants were related inter-se and that drawal of a pension is not a regular source of income in view of the fact that this entitlement will come to an end after attaining certain change in the status of the daughter. 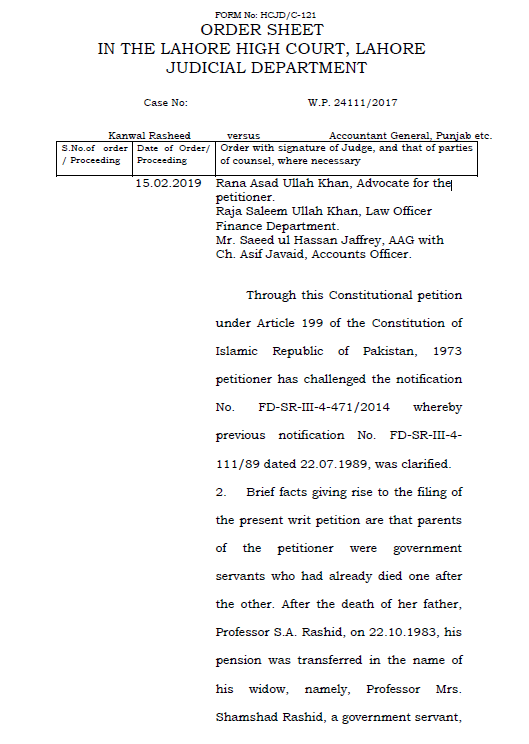 In this view of the mater, this writ petition is allowed, impugned notification No. 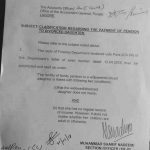 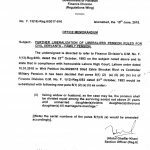 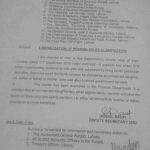 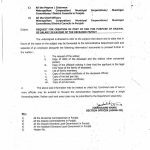 FD-SR-III-4-471/2014 dated 11.09.2015 is set aside declaring that child of deceased parents who were government servants is entitled to two pensions simultaneously according to their eligibility. 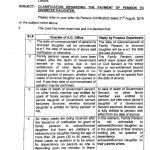 Special Thanks to Mr. Muhammad Amer for sending the copy of the Judgment of LHC Lahore declaring Unmarried Daughter entitled to Two Family Pensions of Deceased Parents Simultaneously.